We used a vintage reproduction rooster towel to make this unique oven door towel. the rooster as well as the fabric print are both very colorful. 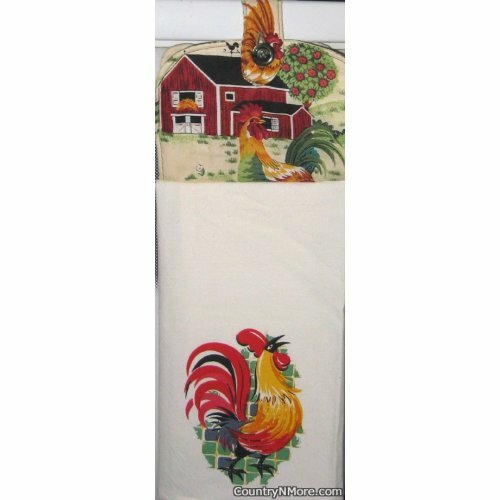 The fabric top print fits so perfectly with the rooster feed sack towel. We use full length towels for all of our oven door towels, and every oven door towel has a button closure.